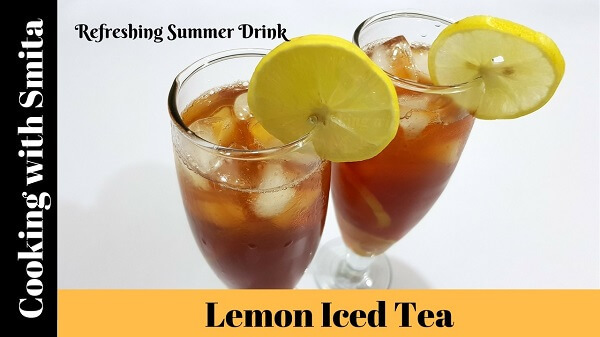 Lemon Iced tea is a form of a favourite summer drink, Cold Tea. It can be mixed with many flavours and but I am using lemon as the flavour. You need Lemons, Water Tea Powder or Tea Bags & Sugar if you like it sweet. You can also use Honey instead of Sugar but make sure not to add Honey to boiling water. Lemon Ice Tea is very easy & quick to make, maybe just 5 minutes. Follow this step-by-step recipe to make Ice Tea at home. Heat water in a saucepan over medium flame. When water is slightly hot, add Sugar and Tea Powder. Heat until it starts boiling. Switch off the gas as water starts boiling. Strain the black tea in a bowl and let it cool down completely. Take serving glass and add 2 – 3 Lemon slices and Ice cubes. Also, add half lemon juice. Fill the glass with Black Tea. 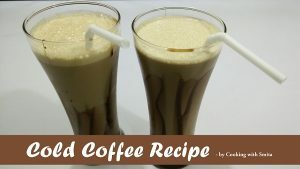 Top with Lemon wedge or Fresh Mint leaves and Serve chilled Lemon Iced Tea. If using Honey instead of Sugar, do not add in hot water. Add Honey while serving. Do not put Black Tea in the refrigerator until it’s at room temperature. Iced Tea is best when it’s fresh so do not make it in advance.